These mowers are great for smaller than average lawns. 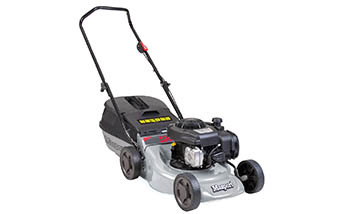 Powered by Briggs & Stratton 125cc OHV Series 300 Primer engine and has a 420mm (16.5") steel chassis. Also features comfortable upturned upper handle and two piece lower handle for easy catcher access. The Masport 2 Blade Disc System for superior catching due to increased airflow.